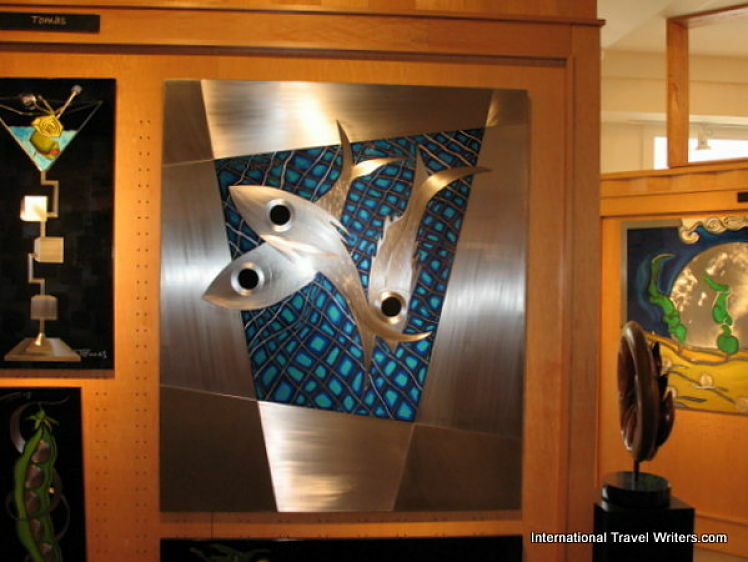 Maui art takes you unawares at the scope and talent that are prevalent in an area where shopping is typically an enjoyable pastime not a reason to visit the destination. 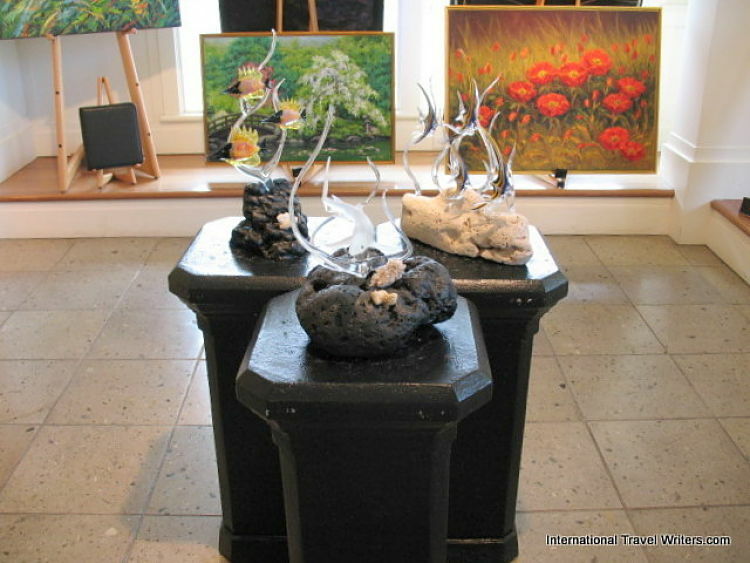 None of the islands have as many high-end luxury hotels so it makes sense that top notch artists are displaying their creations. 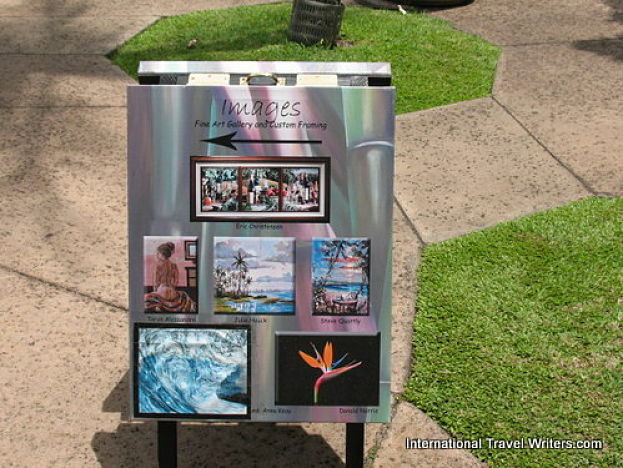 We stopped dead in our tracks when we saw a phenomenal selection of photos on the Welcome Board of Images Fine Art Gallery. Upon entering the shop we were not disappointed. 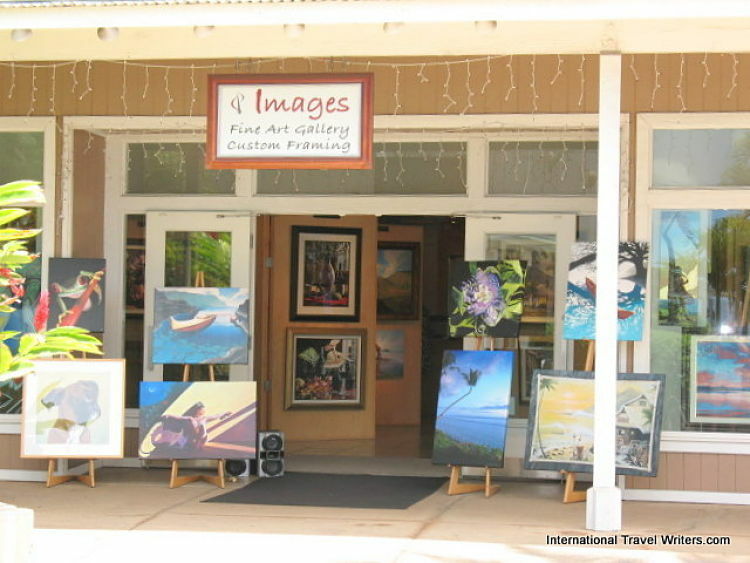 The variety of Maui art along with the colorful displays touched on many of the senses...eyes grabbing the light and color, smelling the crisp lavender-like air with a hint of varnish, and of course...the emotional connection that happens when you feel art, not just view it. Tomas is a 3rd generation of Italian American decent and belongs to a family of artists. 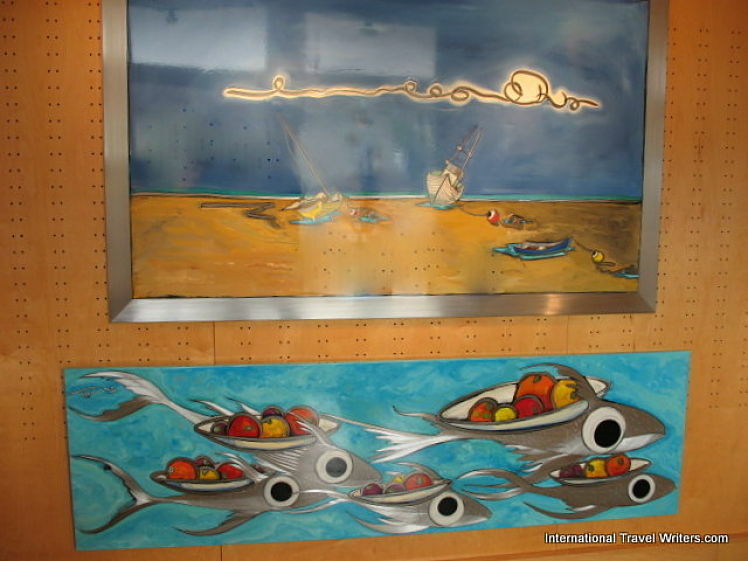 He is self-taught artist and has developed a unique style which is called Zinc & Polychrome (metal & multiple color). 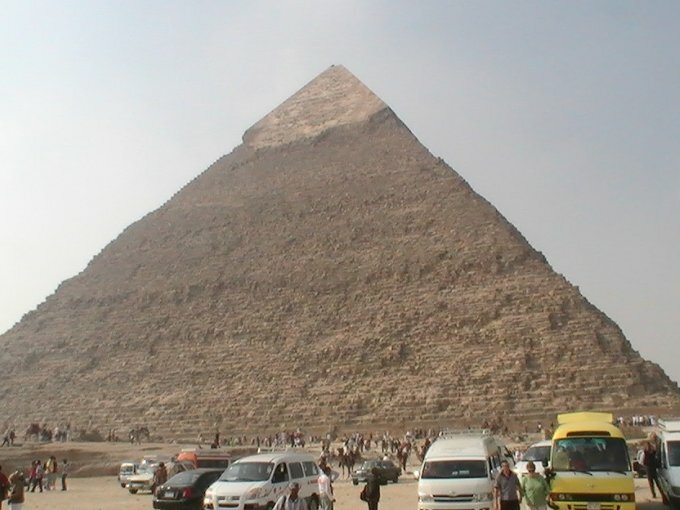 An example is seen below. Each piece goes through eleven stages starting with a panel made of thin steel which is finely coated with zinc. A drawing is then done in a special wax, hand etched, and hand painted with high-grade oils. It is then finished with several clear coats. The process is completed by baking. 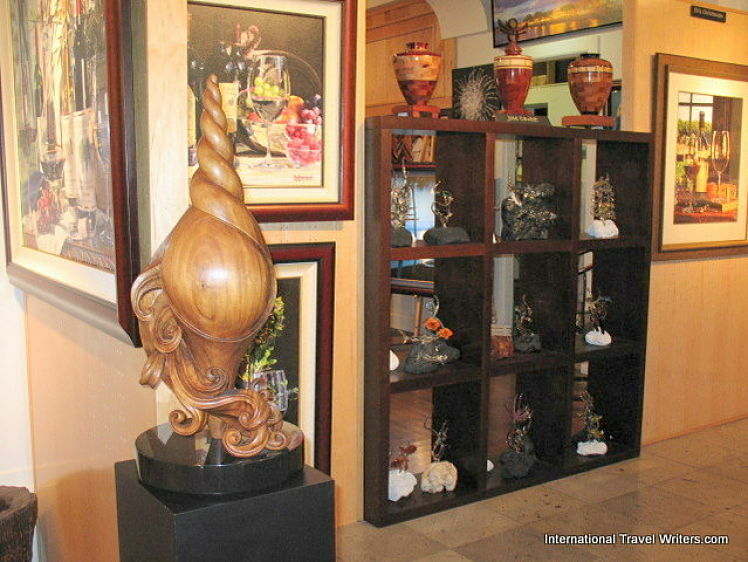 It is unique Maui Art. Then we viewed the artistry of Maui Crystal...all intricately created, perfectly depicting the beauty of each vision in the creator's eye...each piece sparkled in the light of the Hawaiian sun that was able to find it's way through the windows. I have just touched on the works of a couple of artists. 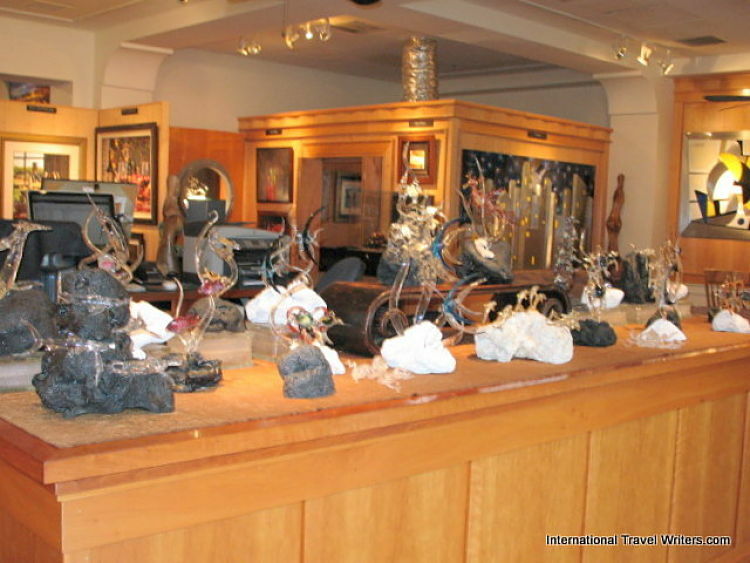 The Images website gives many presentations of the variety and diversity offered by the numerous artists who have works on display at their gallery. 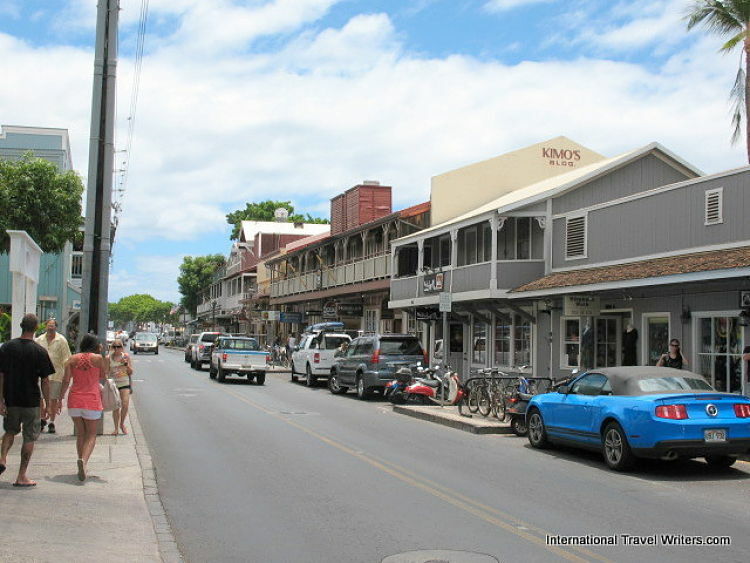 Maui is called the Valley Isle and it's famous for multiple natural attractions like the peaks of Haleakala National Park and the pristine sand of Kaanapali Beach but culture lovers head to to the town of Lahaina to experience the theater and visit the fabulous Maui art galleries. 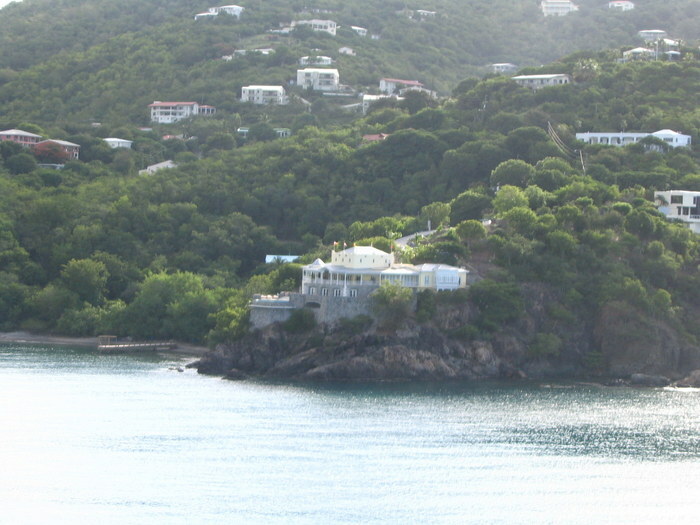 The next one we came across (on this visit in 2011) was Sargent's Fine Art & Jewelry. The artistry and talent of Bill Mack almost blew me away! 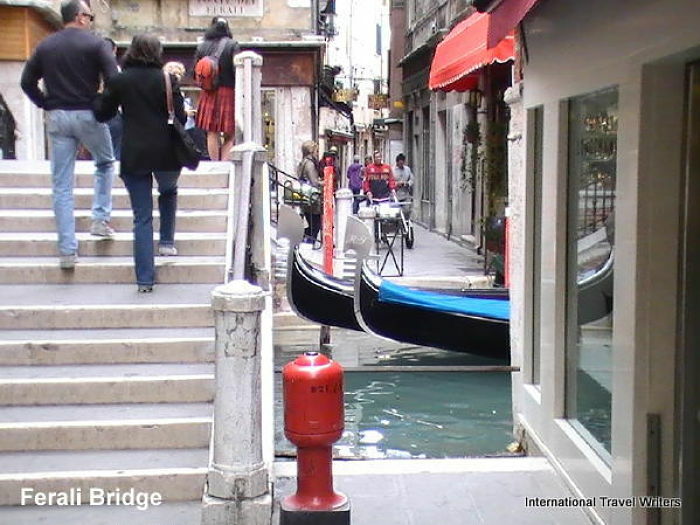 We frequently travel to Rome and Venice and view wonderful pieces of art done in the "sculpture in relief" style and he has mastered this form beautifully. 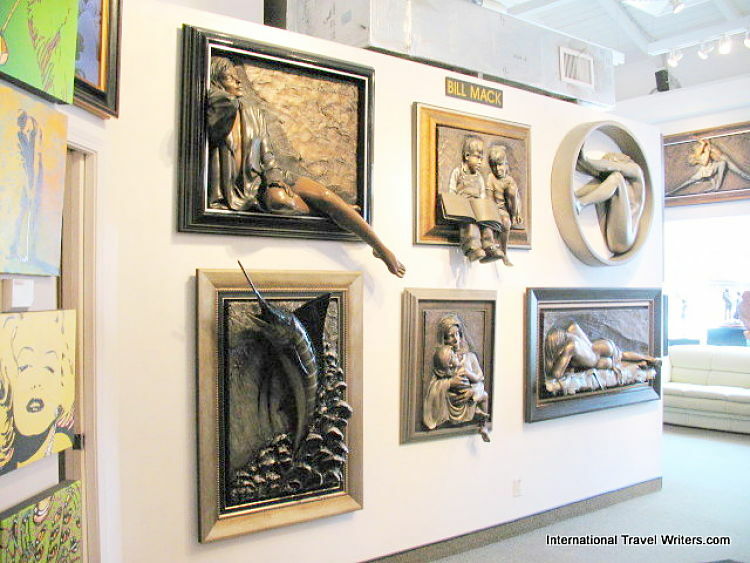 Bill Mack has created his relief sculptures for over 35 years and his art hangs in galleries in four continents. 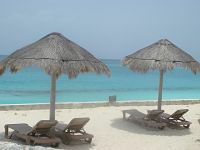 When you visit...you will see why! The Gallery Director is Kim Smith. If you need assistance or questions answered, she is usually there. The website is www.sargentsfineart.com so you can see the work of other artists as well. Unfortunately, in the photo above of Bill Mack's imaginative works, the angle was something I didnt' take into consideration until after the fact. So the result is that this photo doesn't do justice to the creations. When we return to Maui in Nov.2012 I will make a point of doing other photos that will highlight the mastery of this collection and add them to this article. 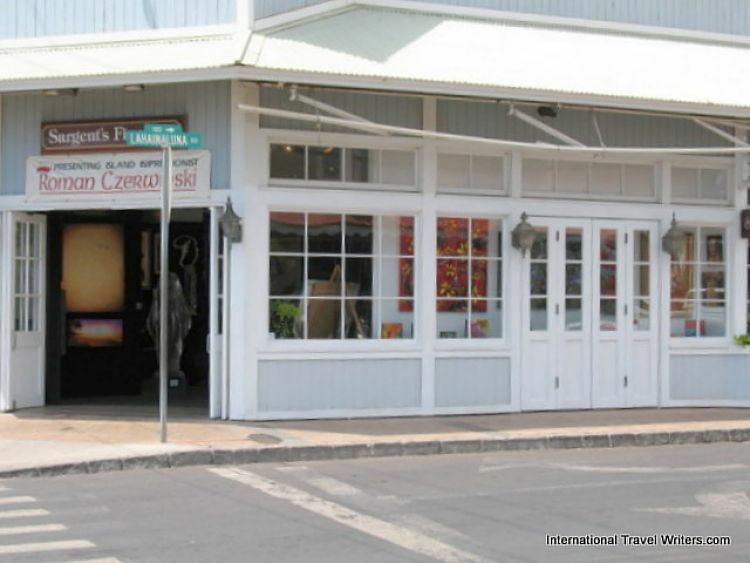 After your shopping experience you can grab a late lunch as we did at Bubba Gump's. 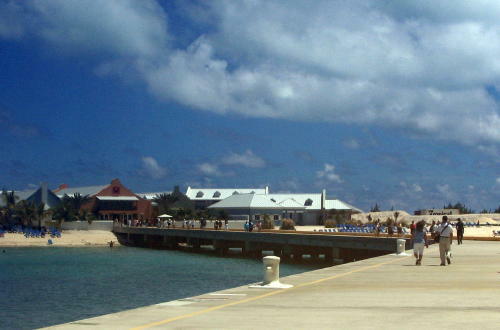 It juts out into the water and has a tremendous view and balmy breezes. 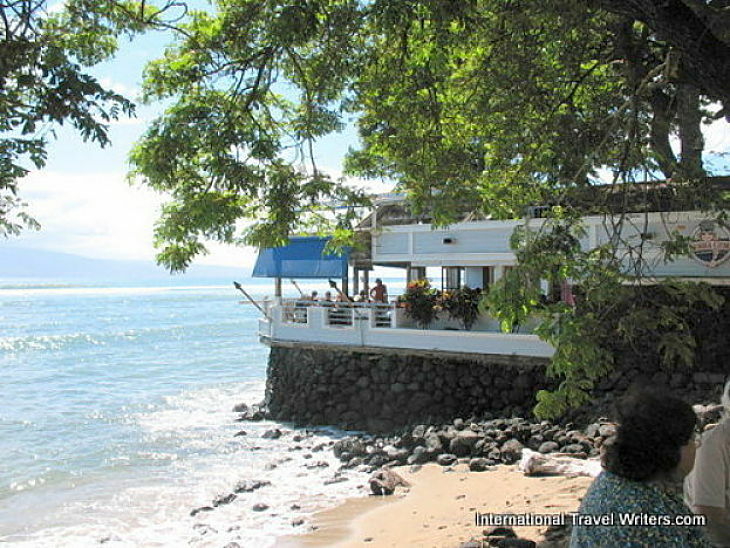 The food is good for such a touristy area and it's a good way to end the day...with a refreshing Mai Tai or a glass of sumptuous wine.